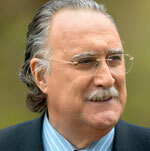 8 January 2013: Iñaki Azkuna, Mayor of Bilbao, Spain, has been awarded the 2012 World Mayor Prize. It has been said that Bilbao’s transformation from a declining industrial city in Spain’s northern Basque Province to an international centre for tourism and the arts has been sparked by two events: the opening of the Guggenheim Museum in 1997 and the election of Iñaki Azkuna as mayor two years later. 20 March 2014: Mayor Azkuna died aged 71. When in the early 1990s Bilbao decided to spend almost US$230m of public money on a museum for modern art, many doubters accused the city of squandering precious resources. But developments since then have silenced the critics. Annual visitor numbers to the city increased from 100,000 before the museum’s opening to more than 700,000 in 2011. The Guggenheim is estimated to have contributed some €2.4 billion (US$3.1bn) to the Basque Province’s GDP since October 1997. 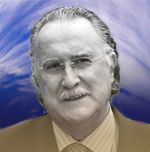 Since being first elected, Mayor Iñaki Azkuna has used the high profile of the Guggenheim Museum, designed architect Frank Gehry, to rebuild the city. The Bilbao Guggenheim has become as iconic as the Sydney Opera House. Unlike most cities in Spain and Europe, Bilbao is virtually debt-free. During the years of prosperity in the early part of this century, the city, under the administration of Iñaki Azkuna, steadily reduced its debt until it was paid off in 2011. The city will now only incur new debt for projects that will strengthen the future of Bilbao. 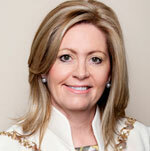 Runner-up in the 2012 World Mayor Project and winner of the World Mayor Commendation for services to her city is Lisa Scaffidi, Mayor of Perth, Western Australia. First elected in October 2007, the mayor has succeeded in raising the city’s international profile while at the same time making local bread-and-butter issues her priority. She regards social media as the promotional tool of the 21st century and says she communicates through Facebook and Twitter with many citizens which she could not reach by more traditional means. 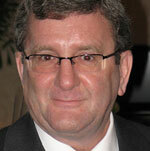 Mayor Scaffidi became a member of Perth City Council in 2000. She told City Mayors that she became involved in local issues and subsequently politics within the neighbourhood to which she had moved in 1998. “In early 2000 some people encouraged me to run for Council so l did so, and won. From day one l discovered a whole new world that l found incredibly interesting and particularly the discussions around the city and urban planning. I have always loved cities and thinking about what makes them ‘tick’,” she explained. Thanks to an abundance of natural resources in Western Australia and careful planning, Mayor Scaffidi is certain that Perth will become one of the world’s most desirable cities to live and invest in. Third place in the World Mayor Project went to Joko Widodo, Mayor of Surakarta, Indonesia, who in July 2005 became the first directly-elected mayor of his city and in September 2012 was elected Governor of Jakarta, the Indonesian capital. While Mayor of Surakarta - also known as Solo - Joko Widodo turned a crime-ridden city into a regional centre for arts and culture, which has started to attract international tourism. His campaign against corruption earned him the reputation of being the most honest politician in Indonesia. Joko Widodo also declined to take a salary while mayor of Surakarta. World Mayor, a project conceived and organised by the City Mayors Foundation, aims to raise the profile of mayors worldwide, as well as to honour those who have made long-lasting contributions to their communities and are committed to the well-being of cities nationally and internationally. According to city residents from all continents, a great mayor must possess these qualities: honesty, leadership and vision, good management abilities, social and economic awareness, ability to provide security and to protect the environment, as well as having the skill to cultivate good relations in communities with different cultural, racial and social backgrounds. The World Mayor Project started in 2004. The City Mayors Foundation, set up in 2003 as an urban think tank and campaigning organisation, is instrumental in promoting good, open and honest local government through its Code of Ethics. In 2004 Edi Rama won the Prize for his achievements in turning the drab and neglected post-communist capital of Albania into a thriving western European city. As Mayor of Athens, Dora Bakoyannis contributed substantially to the success of the 2004 Summer Olympics and ensured that the Games would be of long-lasting benefit to the Greek capital. After receiving the 2005 World Mayor Prize, she was appointed Greek foreign minister. More recently, as a member of the Greek parliament, she has acknowledged the severity of the country’s economic situation while many of her political friends still promoted populist policies. John So, the winner of World Mayor 2006, was Melbourne’s first directly elected Lord Mayor. Born in Hong Kong, he represents an example of the ‘Australian dream’. Helen Zille, Mayor of Cape Town, and winner of the 2008 World Mayor Prize, has been described as an ‘amazing lady’ who in a country devoid of present-day role models was making a difference and giving people hope. One admirer said: “Her only equals are Desmond Tutu and Nelson Mandela in Southern Africa.” Helen Zille is now Premier of the Western Cape Province. Marcelo Ebrard, Mayor of Mexico City, has been awarded the 2010 World Mayor Prize. Described by the French newspaper Le Monde as the leader of Mexico’s mainstream left, Marcelo Ebrard was Mayor of Mexico City from 2006 to 2012. During his time in office, the mayor never shied away from challenging Mexico’s orthodoxy. He championed the rights of women and minorities and became an outspoken and internationally respected advocate on environmental issues. While mayors can be nominated at anytime for the World Mayor Prize, the Project is publicly conducted over a twelve-month period. The first round took place from January to May 2012. During that period, the City Mayors Foundation invited a global audience to submit nominations for mayors deemed worthy of being numbered among the most outstanding city leaders in the world. The first-round nomination process ended on 17 May 2012. During the second round of World Mayor 2012, from 18 June to 20 October 2012, a worldwide audience was invited to select from the shortlist of 25 mayors their choice of title candidate. In order to have their votes registered participants were required, as in round one, to provide a supporting statement. Some 463,000 individuals and organisations worldwide participated in the second round of World Mayor 2012. When establishing the rules for the project, the City Mayors Foundation emphasised that the strength of argument expressed in testimonials carried more weight than the number of votes. By stressing the significance of well-argued comments, the organisers aimed to ensure that contest participants thought carefully about the merits of their chosen mayors. Publication of many comments on the World Mayor website also enabled comparison. These rules furthermore allowed mayors from smaller cities to compete on equal terms with those from large metropolises. (More on methodology). During November and December 2012, the Fellows of The City Mayors Foundation drew up a list of ten mayors who stood out in terms of numbers of votes, achievements and quality of testimonials from their citizens. The panel was also very much aware that an outstanding mayor from a city in the developing world requires vastly different qualities than one from Western Europe or North America. The winner of the annual World Mayor Prize is therefore never described in terms such as ‘the world’s best mayor’. When elected Mayor of Matamoros in July 2010, Alfonso Sánchez Garza was described as one of Mexico’s political rising stars. The city is situated on the Rio Bravo across the border from Brownsville, Texas. Alfonso Sánchez founded the Ophthalmologic Institute of Matamoros, which runs important programmes such as bringing in ‘brigades’ of doctors from the US to conduct eye tests, and in certain cases eye surgery, for the elderly. The programme involves the free distribution 800 pairs of spectacles a month to the poor. Alfonso Sánchez, who has also been deputy for Matamoros, won the mayoral elections with 64 per cent of the vote as a direct result of his dedication and intense activities in helping the needy. In a country that includes five of the ten most murder-ridden cities in the world, it takes a courageous man to stand for mayor. Since the beginning of 2005 more than 60 mayors and former mayors were murdered. In 2012 alone, 19 mayors and mayoral candidates were killed by members of drug cartels. The cartels seek to win influence in local government to control the appointments of police chiefs and gain public contracts. While the mayor is a member of Mexico’s governing Institutional Revolutionary Party (IRP), he runs his office in a non-partisan manner. 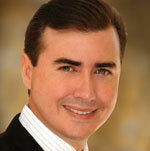 Mayor Sánchez signed up to the City Mayors Foundation Code of Ethics. Alfonso Sánchez has done an outstanding job for Matamoros. Considering the appalling record of previous mayors, it is really impressive how much good work he has done. Previous mayors limited themselves to paving some streets, whereas this man allocated resources to restore parks, improve the city traffic by remodeling the main street of the city, implemented free wireless internet in some of the most visited places, rebuilt the local police force, created job opportunities for the people and even reduced the violence in the city compared with previous administrations. During his time in office, Mouhib Khatir has become an outspoken critic against corruption. 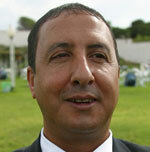 In 2011 the Algerian authorities arrested and imprisoned him for seven months. He was later released without charge after the intervention of Transparency International. Most testimonials mention the mayor’s courage in a less-than-democratic country and one with a recent history of extreme violence, with some commentators hoping that the mayor’s short-listing for the World Mayor Prize should encourage other mayors to follow his example. One citizen said the mayor always defended his city against the development mafia. “I did not run again for the position of Mayor which is now only ceremonial with no powers whatsoever. This is due to the introduction in September 2011 of the "nouveau code communal" (new municipal code) which stripped the position of mayor of all its powers (the State now manages local authorities). To my great regret the position of Mayor now is the equivalent of a forest ranger (Garde Champêtre). When in 2009, I and fellow mayors created the Mayors' Forum my first aim was to question and to amend the Municipal Code with the support of other mayors best placed to manage at a local level. Sadly, the Government decided to do without our help. Mouhib Khatir was jailed because he was fighting against corruption and for the rights of his fellow citizens. Since becoming Mayor of Angeles City in July 2010, Edgardo Pamintuan concentrated on improving the city’s health system, providing better education for all and investing in infrastructure. He has remained popular with residents who welcome improvements in drainage and environmental infrastructure, as well as work on healthcare and welfare, including education. Testimonials praise the mayor for specific achievements, including: being the first mayor to build a city college providing low-cost education; the planting of 200,000 trees with help from volunteers, which apparently will help avoid flooding; the cleaning of major drainages and for modernizing the city hospital, including installing dialysis facilities. Edgardo Pamintuan has also maintained the confidence of business leaders, who believe that the mayor’s efforts in curbing graft and corruption are succeeding. The administration of Mayor Pamintuan has also been awarded the Seal of Good Housekeeping by the country’s Ministry of Local Government. Mayor Pamintuan signed up to the City Mayors Foundation Code of Ethics. I am Gerald, a 17-year-old college student from Angeles City, Philippines. 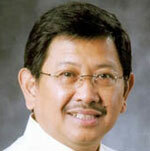 Edgardo Pamintuan, our city mayor, deserves the World Mayor Prize. I have witnessed his hard work and dedication to serve his fellow men. His passion to public service has contributed to the betterment of our city. He knows the needs of his fellow men and he has never failed to provide for all these needs. 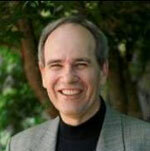 Len Brown, elected in October 2010, is the first mayor of the so-called super city of Auckland, which was formed in 2010 by the amalgamation of seven local councils and one regional council. He began his political career in 1992 as Manukau City councillor and was elected Mayor of Manukau City in 2007. Residents praise Mayor Brown for his bold and exciting vision. While Auckland is already being named by Mercer Consulting as the third most liveable city in the world, Mayor Brown aims for Auckland to replace Vienna at the top of the table. He believes this can be achieved by creating a world-class transport system, attracting high-value companies and skilled workers, protecting the city’s and region’s natural resources and, above all, making Auckland a city where every citizen feels at home. Mayor Brown signed up to the City Mayors Foundation Code of Ethics. Mayor Len Brown has been a fantastic leader for Auckland since the amalgamation of eight councils into one super city council. He has the ability to pull people round the table and reach a happy compromise. He can relate to all levels and groups of society and has a regular presence in many communities across our city. 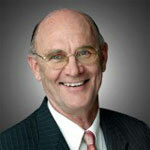 He is approachable, relatable, visionary, collaborative, consultative, and has a great singing voice! He is a man of the people, and is particularly good at protecting the rights of the most vulnerable across our city. He has been a great mayor and I hope he wins the next elections. Park Wan-su became Mayor of Changwon City in a by-election in 2004 and won his first full term in 2006. 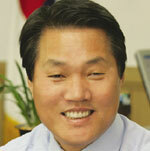 In 2010 he became the first mayor of the super city of Changwon after the amalgamation of Changwon, Masan and Jinhae. Changwon City now has a population of some 1.1 million people. Park Wan-su received a PhD in public administration from Kyungnam University and has published several books including Society with Principle and Society With Hope. Besides his civil service career, he was a professor and dean of government school, Kaya University. The mayor’s environmental initiatives have won attention outside the country and seemingly gone beyond concrete measures towards changing people's perceptions in this area. The city has been described as the environmental capital of South Korea. Recently Mayor Park Wan-su cooperated with the German city of Freiburg and Curitiba, Brazil, on environmental issues. Mayor Park Wan-su signed up to the City Mayors Foundation Code of Ethics. I am living in Changwon and I appreciate this opportunity to recommend Mayor Park of Changwon City to you. I lived on the outskirts of Changwon before I moved into the city. When I first moved here, I had a difficult time getting accustomed to my life in this city as the environment wasn't as good as it is now. The air pollution was severe and streams were so polluted that I couldn't spend time with my kids here like I could in other areas. But Changwon has been greatly changed in relation to the environment since Mayor Park took office. He announced that he would restore polluted streams and recreational areas to an ecologically healthy state and he made good on this promise. John F Cook took office in 2005 after defeating the incumbent mayor. He won re-election in 2009 but, due to term limits, is prevented from standing for a third term in 2013. Under the mayor’s leadership, El Paso has been repeatedly named as one of the safest cities in the US despite its close proximity to Juarez (Mexico), the world’s second most murder-afflicted city. In 2011 Mayor Cook came to national and international prominence when he and two city councillors voted to restore health benefits to gay and unmarried partners of city employees. The benefits were withdrawn after a public ballot sponsored by religious conservative groups succeeded in November 2010. Following the mayor’s vote a ‘family values’ group mounted an unsuccessful attempt to recall him from office. For Mayor Cook the fight, which began in 2009 when the city council approved health benefits for both and gay and straight domestic couples, has been against intolerance and bigotry. He said government had no business enforcing an Old Testament moral code on its citizens. The majority of testimonials praise Mayor Cook for his refusal to give in to social and religious conservatives who seem to form a sizeable part of the local community and his determination to maintain a liberal and inclusive environment in the city and administration. There are some comments which criticise the mayor for ‘overriding a public vote’. Mayor Cook signed up to the City Mayors Foundation Code of Ethics. It's always tough to stand up and say no to bigotry, especially when it’s masquerading as Divine law being preached by religious leaders. I've known John Cook for more than thirteen years and have seen him more than once defend what was right, even when it wasn't convenient to do so. El Paso has always been a tolerant community but not by chance. Every fifty to sixty years, the faces of bigotry and hate raise their ugly heads, starting with the Ku Klux Klan attempting to take over the city in the 1920s to the fight for equality during the early 1960s. But, fortunately, we've always seen a small group of leaders willing to fight back against the forces of evil, starting with Mayor R. M. Dudley in 1923 as he won election against a KKK candidate, taking a strong stand against the hate group and then Mayor Bert Williams who persuaded the City Council to approve the first anti-discrimination ordinance of its kind in Texas, and possibly in the nation, in 1962. And now, fifty years later, we have Mayor John Cook, who together with a courageous group of city council members has taken a strong stand against the faces of evil. Thank you Mayor Cook for continuing to show the world that El Paso will only close its doors to those that profess and teach hate and bigotry! Régis Labeaume was elected mayor in December 2007 following the death of the then mayor Andrée Boucher. He was re-elected in November 2009 with almost 80 per cent of the vote. Positive testimonials highlight his hard work, a rough-and-ready manner or even confrontational style, which people seem to like and his ability to direct state moneys towards the city, and his honesty. There are repeated comments on residents' pride in their city. Others comment on the number of international events or concerts the mayor has brought to Québec. Mayor Labeaume insists there is no corruption and none will be tolerated in the Québec City government. Mayor Labeaume signed up to the City Mayors Foundation Code of Ethics. Since Régis Labeaume’s arrival as a mayor, Quebec City has been waking up. The Mayor decided to invest in many projects to create dynamism in cultural and business activities and to decrease administration expenses. Before him, Québec was a city without pride. Now, citizens of other cities in the French province (Quebec) dream of having mayor like him. Congratulations Mr Labeaume, you're simply the best. In July 2005 he became the first directly-elected mayor of his city and in September 2012 was elected Governor of Jakarta. While Mayor of Surakarta - also known as Solo - Joko Widodo turned a crime-ridden city into a regional centre for arts and culture, which has started to attract international tourism. His campaign against corruption earned him a reputation for being the most honest politician in Indonesia. Joko Widodo also declined to take a salary while mayor of Surakarta. There is here a long list of positive testimonials and genuine and very enthusiastic praise for the mayor, most particularly for his honesty and refusal to be corrupted - apparently an exception in Indonesia. He is seen as a public servant sensu stricto. His personal qualities, apparent humility, hands-on and people-oriented approach are appreciated. One testimonial states: He spends or spent when mayor of Solo just one hour in the office and the rest of the day going around the city. He recently won elections to become the governor of Jakarta by a clear margin, which is like several million positive testimonials, and likely a massive vote against corruption. While under the World Mayor rules, a mayor must be in office on the closing date of the popular vote to be included in the top ten. An exception was made for Joko Widodo because of the exceptional high number of votes he received during the first and second round of the contest. 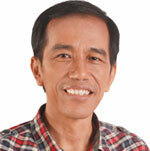 Mayor Widodo signed up to the City Mayors Foundation Code of Ethics. It is rare to find a mayor who is not corrupt in Indonesia. In Joko Widodo we have one. He uses public money for the right purposes. He is a simple and humble guy who pays lots of attention to less fortunate people. Lisa Scaffidi was first elected Lord Mayor of Perth, Western Australia, in October 2007. She defeated the outgoing Deputy Lord Mayor by winning 56 per cent of the vote. She stood for re-election to a second four-year term in October 2011 and won with a margin of 25 per cent over her principal challenger. Mayor Scaffidi was the Chief Executive Officer within Western Australia for the business-led Committee for Economic Development of Australia for 11 years until becoming mayor. During Lisa Scaffidi’s first term the city council produced its 2009 four-year plan and the mayor will now oversee its 2013 successor. She is strongly promoting sustainable growth and both the city strategy and its organisational structure reflect that. In 2008-9 the city hired legendary urban designers Gehl Architects to produce a Public Spaces Public Life plan, which was incorporated in all the current strategies. In testimonials the mayor is praised for her efforts to make Perth more attractive, cosmopolitan and livable. Residents praise her management of the city's growth on the back of increased mining-based prosperity. 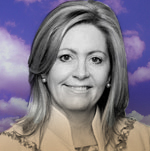 Lisa Scaffidi is depicted as putting Perth on the business, investment and travel map. The mayor’s personal and professional qualities are praised: she is described as being open to ideas and cultures, a "connector of people [who facilitates] positive outcomes" and a "catalyser" of "city-making projects." She is also described as working well with state authorities to improve infrastructures - for example, on the City Link rail project. The mayor is credited for her efforts to make Perth a world-class centre of scientific research, not just a service centre for the mining industry. Residents also confirm that she has helped transform Perth from a "dull hick town" or "boring city”, while others commend her for not getting involved with politics but "with the job she was voted to do in the first place." While the mayor’s numerous foreign trips were criticised by her political opponents, most Perth residents believe Mayor Scaffidi has been a good international ambassador for Perth. There is some criticism of the mayor’s vision of Perth's development, with some environmentalists complaining that too much open space was sacrificed to new developments. Mayor Scaffidi signed up to the City Mayors Foundation Code of Ethics. Perth is undergoing rapid change at an important time in our relatively short history. Lisa Scaffidi has the vision and the drive to make sure we not only make the most of our current opportunities but become a thriving city people love and are proud of on the world stage. For a long time it's been a case of status quo and resistance to any new and bold ideas. I see Perth evolving under Lisa's stewardship to a dynamic city, which is long overdue. I commend her strong character and leadership to make decisions with long-term foresight as opposed to short term populism. Behind the scenes she's actively engaged with the cities around the world exploring ways that ensure a sustainable future. This can only be achieved by working together and learning from each other. I'm excited about Perth's future! Since his election in 1999, Iñaki Azkuna has overseen Bilbao’s transformation from a declining industrial town into an international centre for tourism and the arts. It has been said that Bilbao’s total renovation has been sparked by two events: the opening of Guggenheim Museum in 1997 and the election of Iñaki Azkuna as mayor two years later. Since being first elected, Mayor Iñaki Azkuna has used the high profile of the Guggenheim Museum, designed by architect Frank Gehry, to rebuild the city. The Bilbao Guggenheim has become the European iconic equivalent of the Sydney Opera House. When in the early 1990s Bilbao decided to spend almost US$230m of public money on a museum of modern, many doubters accused the city of squandering precious resources. But developments since then have silenced the critics. Annual visitor numbers to the city increased from 100,000 before the museum’s opening to more than 700,000 in 2011. The Guggenheim is estimated to have contributed some €2.4 billion (US$3.1bn) to the Basque Province’s GDP since October 1997. In a recent interview with City Mayors, Mayor Azkuna stressed that Bilbao did not construct the Museum just to have an iconic building. It was part of a wider development plan involving a new subway line, the redevelopment of the river frontage and a new airport. The Guggenheim was the icing on the cake. Unlike most cities in Spain and Europe, Bilbao is virtually debt-free. During the years of prosperity in the early part of this century the city under the administration of Iñaki Azkuna steadily reduced its debt until it was paid off in 2011. The city will now only incur new debt for projects that will strengthen the future of Bilbao. The mayor’s open and transparent administration even enjoys the support of those who do not generally vote for his Basque Nationalist Party. One resident wrote in his testimonial that the mayor’s vote seemed to be going up with every election. Mayor Azkuna signed up to the City Mayors Foundation Code of Ethics. Mayor Azkuna died on 20 March 2014, aged 71. My vote is for Iñaki Azkuna. He has done an awesome job for Bilbao. Bilbao was a few years ago an industrial city, with pollution and without any kind of welfare. When all the industry disappeared, Bilbao suffered a terrible time. Additionally, the 1983 floods almost destroyed the old part of our city, with the economic crisis at the time preventing any recovery. That was the situation Iñaki Azkuna faced when first elected mayor in 1999. Since then Bilbao has become one of the showcase cities of Europe. He has won many prizes for that. He is also honest, confident and a fantastic person. And he is always smiling! We all congratulate Mr. Azkuna for all his work.